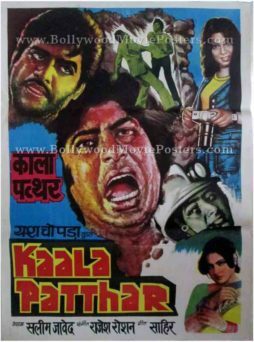 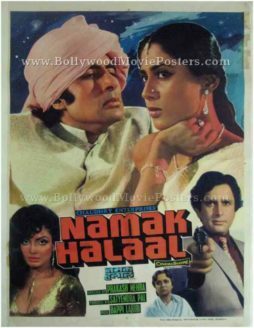 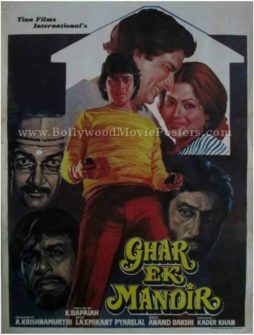 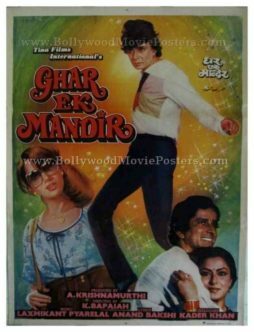 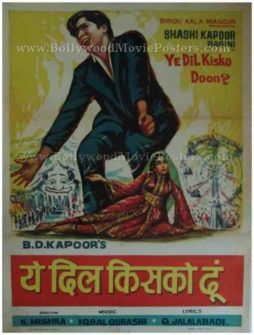 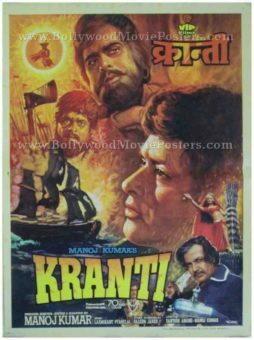 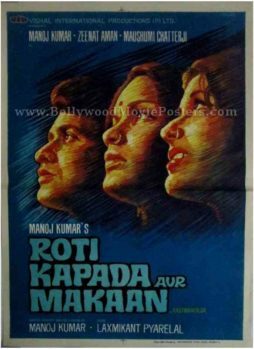 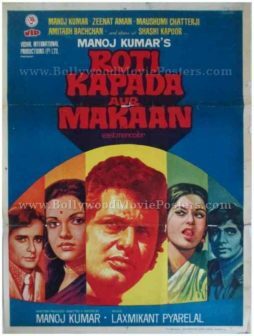 This is an actual surviving old Bollywood poster of the 1974 Hindi film that was written, produced, directed by and starring Manoj Kumar. 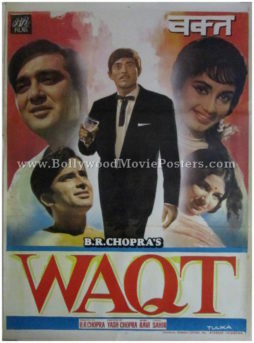 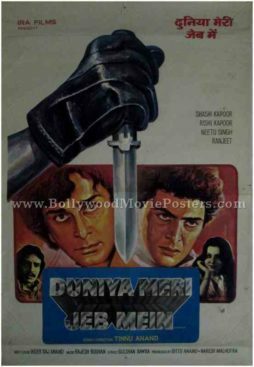 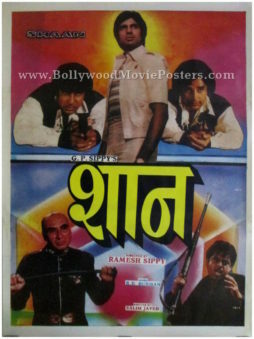 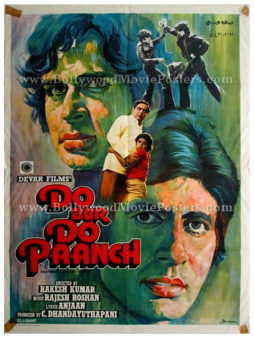 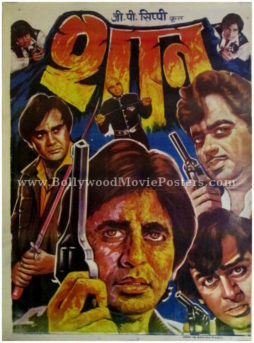 The film also starred the biggest superstar of Indian cinema, Amitabh Bachchan in a supporting role. 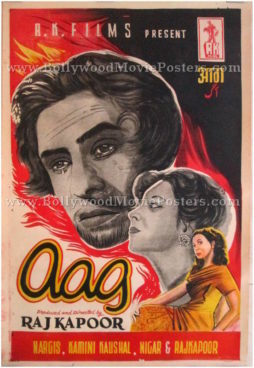 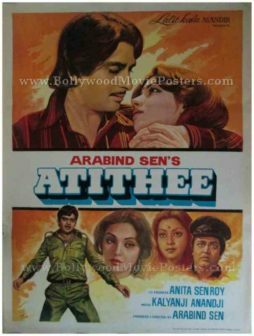 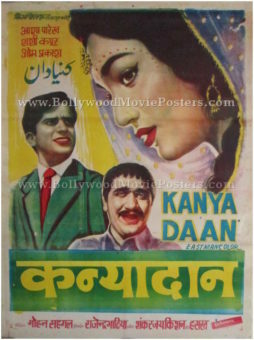 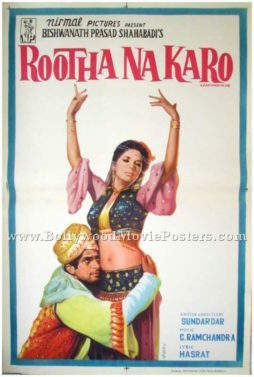 Printed and circulated a few years after the original first release run of the film (somewhere in the late 1970s), this vintage Indian Bollywood movie poster was designed and printed for publicity of the film but never ended up being used. 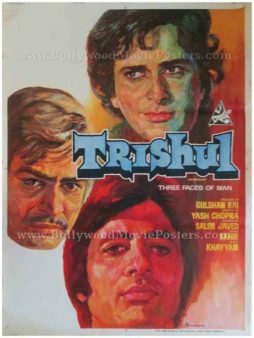 Faces of the entire star cast of the film appear hand painted in a Mount Rushmore like manner in this landscape Bollywood poster. 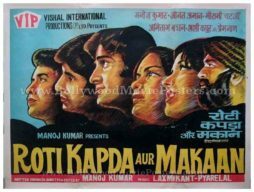 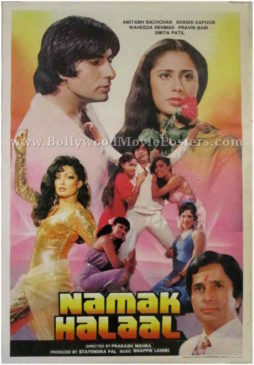 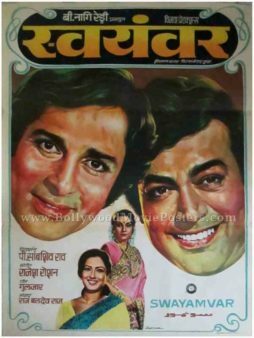 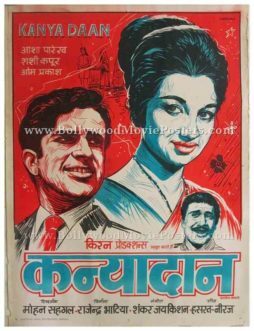 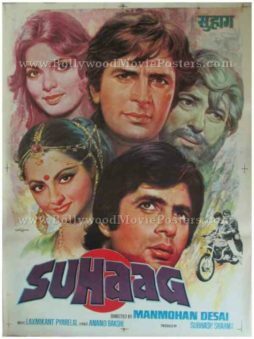 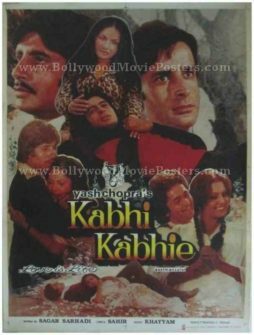 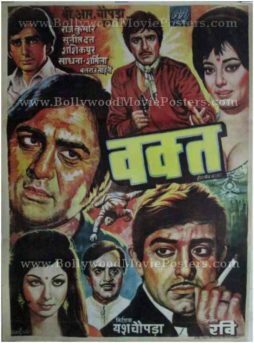 Portraits of Manoj Kumar, Amitabh Bachchan, Shashi Kapoor, Zeenat Aman, Moushumi Chatterjee and Prem Nath are seen from left to right in this vintage Indian film poster.